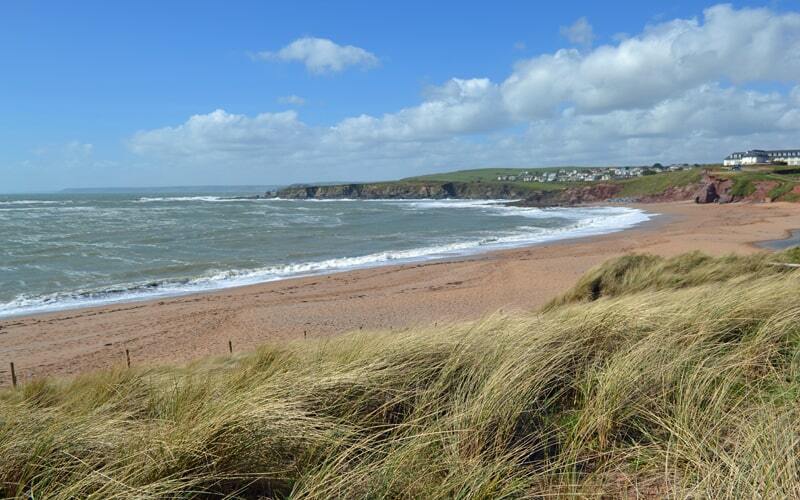 This beach is literally on the doorstep of Thurlestone village is essentially the southern part of Thurlestone Sands beach. It is accessed via the village of South Milton and there is car parking, a toilet block and a beachside café overlooking the sea and the iconic giant rock archway known as Thurlestone Rock. The beach itself is large and sandy and at low tide a sizable area of rocks becomes exposed making this a fantastic spot for rock pooling. If the tide is in and the weather is kind, why not try a bit of snorkelling in these clear, shallow waters. The beach has lifeguard cover during the main holiday season and this is a popular area for windsurfers. If you fancy taking to the water you can hire watersports equipment on site including Stand Up Paddle boards and kayaks, both of which are perfect for exploring the locality. If you fancy a change of scenery, it’s worth taking a walk along the stunning South West Coast Path to neighbouring Hope Cove. And if your family includes a pooch, then this beach is a great choice as it is dog friendly all year round. Explore the beaches and coast path around South Milton Sands by staying at one of our Seamark Cottages such as Sea Lavender or Sea Holly with their fabulous views and use of an indoor heated swimming pool. Read on for more of our recommendations in the rest of our Top 10 Best Beaches countdown!